Referrals are a principal on which I base my business. I focus my time and energy on serving my clients at the highest level of personal service possible, rather than expending all my time and energy pursuing business from the general public. As a result my clients receive my undivided attention and dedication to detail. Your satisfaction and subsequent referrals are the basis for my future business. Listing our home with Dan was a pleasure, he gave us excellent advice on how to modernize and update our home without spending too much money. He coached us on the right time to sell and how to show the house, he did a fabulous job on the photographs, the house presented very well because of it. We had a lot of showings and an offer in just 4 days. He has a lot of experience and knowledge of the housing market backed up with lots of research. His pre sales and post sales service and attention was outstanding, he certainly went the extra mile. He was always available to take your call or answer your question. We would highly recommend Dan. He was the right choice. You will not regret your decision to pick Dan as your Realtor. Dan recently helped us buy our first house in Kamloops. We were moving from Vancouver with 2 small kids and he successfully guided us through the listings, helping us find our ideal place. We appreciated Dan’s honesty and direct approach, not to mention his ability to get our offer accepted amidst a multi-offer situation. We highly recommend Dan to anyone looking to buy a home!! Since we had not needed the services of a real estate professional for 19 years, we asked ourselves who would we choose. We had been shopping via open houses for 3 or 4 months and had decided on the area and type of housing we were looking for. Yes, we had met several agents, but only a couple stood out in our minds and Dan had risen to the top. We called Dan and from the "get go" we were not disappointed. Not only did he sell our home in record time, for the price we wanted, he also acted on our behalf on the private purchase we had chosen. Dan kept us updated on the showings for our home, was available for our questions and kept us informed of the next steps. We feel confident in recommending Dan to family, friends, and co-workers should they need the services of a professional real estate agent. In our eyes "Dan's The Man". We want to thank you for the professional manner in which you helped us find a 'new' home and sold our existing home. Purchasing and selling a home can be a stressful experience. You helped minimize this....You aggressively marketed our home and sold it in a record period of time. ...we cannot thank you enough. We will highly recommend you to our friends when they are in need of a Real Estate professional. 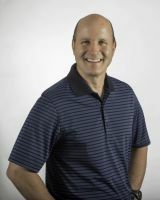 Recently I had the good fortune of having Dan Dobrovolny as my buyers real estate agent. Dan helped me find many options within my price point which included all of the items on my wish list and in my area of preference. Dan looked out for my best interest through out the entire process from viewing properties through the entire negotiation process. Dan made me feel confident and ensured I was getting exactly what I needed in my first home for the best price possible. In a very short period of time I was a home owner, and as a first time buyer I couldn't be happier. Just a quick note to let you know how much your services were appreciated. Our home had already been on the market for what seemed like forever when we decided, on a favorable recommendation from a past client, to try listing with you. There was an immediate change in approach which focused on our needs as sellers and an understanding for the level of communication we were looking for. You took the time to get to know us as clients and as we were already out of town, kept us informed. We really just wanted you to know that your efforts made a difference and we would most highly recommend you to anyone looking for top notch expertise and service. Thank you and take care! Just wanted to say a big 'Thanks" from both of us for all your help over the last month. As first time home buyers, you really helped make the process as smooth as possible, and the extra effort on your part to communicate with all parties involved and facilitate such a speedy transaction was invaluable in helping to keep my stress levels down! You're a class act, Dan, and I'll be recommending your services to everyone I know. Phil M. and Lisa D.
Dan Dobrovolny recently sold our mother's home of 55 years. Our mother was very worried about selling but Dan's friendly, honest and approachable manner put her at ease. He listened attentively, provided knowledgeable guidance regarding market pricing, negotiated fairly with interested buyers, and understood all steps needed to bring the house up to code. When decisions had to be made in our absence, we put our complete trust in Dan for the best interest of our Mother and sale of her home. Dan was always very kind, considerate and respectful and he never wavered in his commitment to do his utmost best for her. He went above and beyond his role as her real estate agent. We were very grateful to Dan and we would not hesitate to recommend him. Dan, Thank you for all of your hard work and great service. We will be forever grateful and will be sure to pass your name along to anyone needing a real estate agent. Thanks again! Tami S. and Peter B. Thank you for answering all of my questions and making the house buying process as quick and simple as possible. You are a very good real estate agent and I appreciate all of your hard work and good advice. Thank you so much for all your efforts while we were on holidays - above and beyond the usual. Thank you for what you did to decrease some of the anxiety that accompanies selling a very cherished home. You did a great job Dan. We wouldn't hesitate to recommend you to other people. 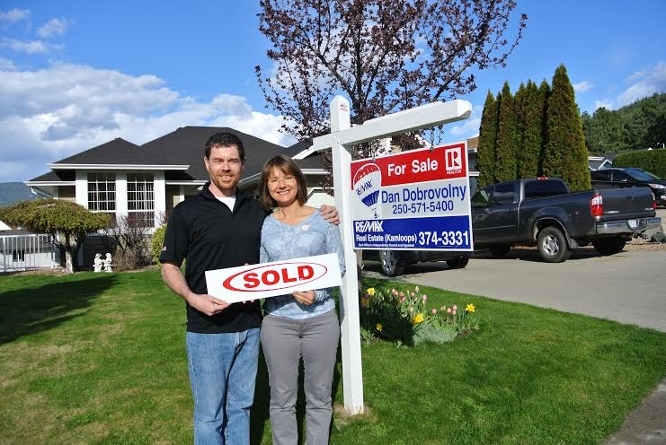 Our experience in selling our home was very pleasant, thanks to Dan's professional service. His attention to detail in marketing our home, his courtesy with other agents and his constant communications with us concerning potential buyers was informative and helpful. We highly recommend Dan for anyone wanting excellent real estate advise. Hard working, honest, helpful, and respectful. You can count on him for anything. He gave 150% of himself. Dan never pressured us to list or sell. He offered us facts and advice so we could make informed decisions. He always told us the truth and would not tell us just what we wanted to hear just to get our listing. In looking for houses, he never took us to places that weren't what we were looking for and saved us time. In appointments with us, his cell phone was off, so he was totally accessible to us and he gave us his full attention. He kept his work in all his dealing with us - calling back when he said he would, he was truthful about his time commitments and worked for our best interests versus just trying to get the sale. We have referred him to others in our family and think he is not just a good real estate agent, but a good man. Dan has always worked in our best interest, whether we were buying or selling. Dan has a thorough understanding of all aspects of both the buying and selling process and applied his knowledge to our advantage. His advise has saved us thousands of dollars. Truly a real estate agent with integrity. Found Us Our Perfect New Home... Fast! When my husband was given 2 weeks notice that he was transferred not only to another city, but another province, I almost had a heart attack. A family member had recommended Dan, and thank goodness he was able to find time for us on very short notice. We had 4 days to find a home and I was close to panic the whole drive to Kamloops. The first morning that we met Dan, the panic evaporated. He took the time to explain the lay out of Kamloops and the pro's and con's of each neighborhood. Not only was he patient and kind, but he reasurred me that when I left to go sell our home, I would have a nice place to move into....and he delivered. I will never deal with another real estate agent (besides Dan) again!! !